OP by KelBlock. Stolen from Muslim's old thread. Counter-Strike: Global Offensive (abbreviated as CS:GO) is an online first-person shooter developed by Valve Corporation and Hidden Path Entertainment, who also maintained Counter-Strike: Source after its release. It is the fourth game in the Counter-Strike franchise, excluding Neo and Online. Counter Strike Global Offensive was released on August 21, 2012, and made available for Microsoft Windows and OS X on Steam, Xbox Live Arcade, and a US-only version on PlayStation Network. It features classic content, such as revamped versions of classic maps; as well as brand new maps, characters and game modes. Cross-platform multiplayer was planned between Windows, OS X and PSN players, but was ultimately limited to Windows and Mac OS because of the differences in update-frequency between systems. The PSN version offers three input control methods, which include using either the DualShock 3 controller, PlayStation Move or USB keyboard/mouse. Counter Strike Global Offensive adds new weapons and equipment not seen in previous installments, most notably the firebomb for each side (Molotovs for Terrorists and incendiary grenades for Counter-Terrorists). These temporarily cover a small area in fire, dealing damage to anyone passing through. Classic Casual and Competitive: Counter-Strike's most well-known game mode, both involving Defuse and Hostage missions. At the start of each round, players can purchase weapons and gear with money earned from various actions, from assisting on kills to completing objectives. For both mission types, a round ends when either a team completes an objective, or eliminates the other team. Defuse: the Terrorists must plant a C4 explosive at one of two designated bombsites; the Counter-Terrorists must prevent the bomb from exploding. Hostage: the Counter-Terrorists must rescue hostages from the Terrorists, and bring them to an extraction point; the Terrorists must prevent the hostages from escaping. If a Terrorist or Counter-Terrorist attempts to kill hostage, they will suffer a heavy cash penalty. An update later changed how Counter-Terrorists rescue hostages: instead of leading them around, players must carry one hostage at a time to the extraction point. Demolition: a round-based mode that removes weapon and equipment purchasing, instead rewarding players who manage at least one kill by giving the next weapon in a predetermined set of weapons. Deathmatch: a mode consisting of 10-minute matches. Players must gain the highest possible score by earning kills with different weapons or desired weapons. The number of points from a kill depend on the weapon. Players may also take advantage of bonus timers for different weapons, using them to score extra points. Like in Arms Race, players automatically respawn after getting killed, but also when they choose to respawn with bonus weapons. Global Offensive also offers two offline modes: Offline with Bots, which offers the same game modes with AI-controlled bots; and a Weapons Course for inexperienced and veteran players alike. Global Offensive supports matchmaking and leaderboards for all online game modes, provided by Steam. The provided online service offers the ability to filter by game modes, maps and a built-in Steam friend system. Valve also employs Valve Anti-Cheat, which can automatically remove and ban players from the Valve online network. To match players of similar skill levels for an enjoyable experience, the game uses an Elo rating system. The PC version of Global Offensive also supports private dedicated servers that the player may connect to through the community server menu in-game. These servers may be heavily modified and can be completely different from the base game. Skins are weapons with different textures, and are completely cosmetic, holding no gameplay function. Also, some variants include a StatTrak device, a counter that shows the total amount of kills aquired with the weapon by the current owner.. Holding the [F] key (default) will allow the player to 'inspect' the gun in greater detail and allow you to gain a better view of your StatTrak counter. Weapons skins come in 7 different quality grades, generally signifying their rarity and value. Items come in a random paint quality when they are dropped or uncrated. There is currently no way to refresh the paint of a weapon. Note also that a weapon will not degrade over time; a weapon skin will stay in that state forever. The Steam Workshop (or Maps Workshop), is a database for uploading and subscribing to custom maps in Counter-Strike: Global Offensive. 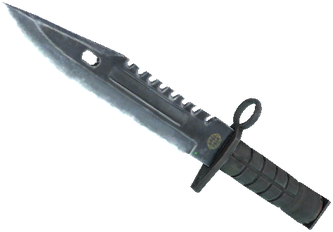 The tool had been previously implemented in other games and was introduced to Counter-Strike: Global Offensive on February 7, 2013, along with the map Assault. Some of the more popular maps were included with Operation Payback. According to Valve, future "operations" are planned. Another future feature are for players to publish their own skins and weapon models on the workshop. Ask here if you want to be added! aaaaaaaaaaaaaa http://steamcommunity.com/id/Funkaloo NA + EUW current rank the second AK thing, past rank LEM. i play off and on. but are you NA or EUW. it's a pretty wide ocean. Yeah, include rank with the player name's as well. Also, you should probably copy-paste the latest changelog n' update that too. I can't really recall ever having to wait a long time for queue except for when I play obviously under-played maps. added some peeps, changed the changelog. I feel like you can wipe the old list so we can weed out inactive users. edit: stole them from some other site. revamped player list.